Iron City welcomes you with class, prestige and sophistication in the heart of the Magic City. CateringLet us cater to you! Fresh, unique, and delicious catering is provided in house directly from the Iron City Grill. We offer a variety of catering styles including lunch and dinner buffets, seated meals, hors d'oeuvres, carving boards, and action stations. We will customize your experience with the freshest local produce and ingredients, along with outstanding service, to assure that every guest leaves delighted. Multi Level & Open SpaceOur venue features a large sunken dance floor for your guests that want to boogie, and a mezzanine level that ensures plenty of seating and a great view of the entire venue. The open space and multi-level features also make Iron City an ideal venue for presentations, awards, ceremonies, and meetings. We set ourselves apart by being able to accommodate all of your guests in one single space. Premium AVWe've hosted hundreds of national and international musical acts, so it's no secret that we house a state of the art sound system and audio visual amenities. From custom lighting to a huge projection screen, and superior staff to operate it, we can accommodate most audio visual requests in house. 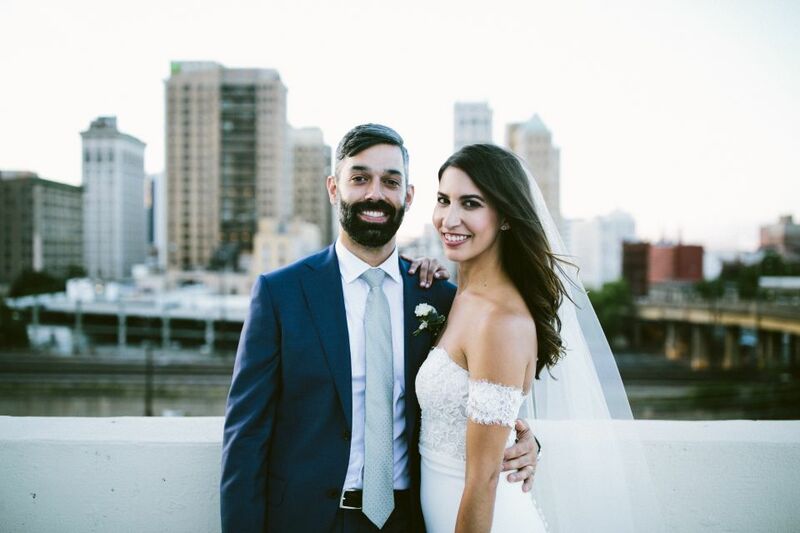 Iron City is not only a world-class music venue, but also Birmingham’s most desired setting to say “I do.” Built in 1929, the meticulously restored venue blends industrial charm with polished finesse making it ideal for any bridal vision. Multi-level staging accentuates exposed brick and dark-stained wooden floors creating the perfect picture of industrial chic. Beneath the high beams, our fantastic chefs pair a vibrant, innovative menu with fresh local produce and unparalleled service for unforgettable weddings, corporate events and social occasions. Originally built in 1929 by L.H. Pennington, the buildings that have become the core of Iron City were once considered the most modern auto-industry facilities of their times. Iron City is the premier venue for an industrial meets chic soiree in the heart of downtown Birmingham. These buildings have been transformed into one of the most timeless and versatile venues in the south, hosting everything from concerts for rock and roll great to elegant weddings for Birmingham locals. Contact events@ironcitybham.com for more information. Every private event at Iron City is completely custom and pricing will vary. Base pricing includes two parts, a room rental fee and food and beverage minimum. Need a quote? Contact events@ironcitybham.com for more information. The food and drinks we serve are as unique as our venue. Delicious in-house catering is provided from The Grill at Iron City and our expansive bar services will be sure to quench your thirst. We offer a myriad of menus that will satisfy your taste buds, and your budget. Reach out to events@ironcitybham.com to request a copy of our catering menu and bar packages, or click here! Iron City houses a state of the art sound system and audio visual amenities. From custom lighting to a huge projection screen and superior staff, we can accommodate most audio visual requests in house. We’ll work with you to implement a variety of AV requests, such as a spotlight for a speaker, wireless microphones for a presentation, or fun entertainment lighting for the dance floor. Please reach out to us directly at events@ironcitybham.com for a list of audio visual packages and pricing customizable for your event. The incredible service from our team will make your experience at Iron City flawless. Your rental package includes a venue coordinator, two security attendants, and banquet servers (excluding seated meal service). You can take your event to the next level of hospitality with additional services like bartenders and chef attendants. Contact events@ironcitybham.com for more information. Iron City has two small lots adjacent to the venue, as well as access to two additional lots down the street. Ample street parking is available in the evenings and weekends. We are happy to coordinate valet services for your event at an additional cost. Take a peek at our parking map here. If you are looking for a local band or DJ for your wedding or event, we’d be happy to recommend a few! You are welcome, and encouraged, to bring in your own entertainment. Be sure to enhance your experience with on of our audio visual upgrades. Contact events@ironcitybham.com for more information. 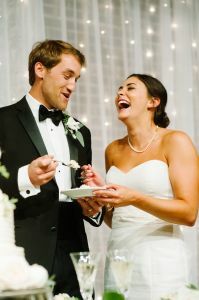 Iron City is the premier venue for downtown Birmingham weddings with historic and industrial flare. Complete with a large dance floor and open floor plan, it’s the perfect combination of polished and party for your big day. We are honored to have been awarded the 2017 The Knot Best of Weddings as well as the 2017 Couples Choice Award from WeddingWire.com. Brides, be sure to visit our Pinterest account for tons of photos and inspiration from real weddings and receptions here at Iron City. 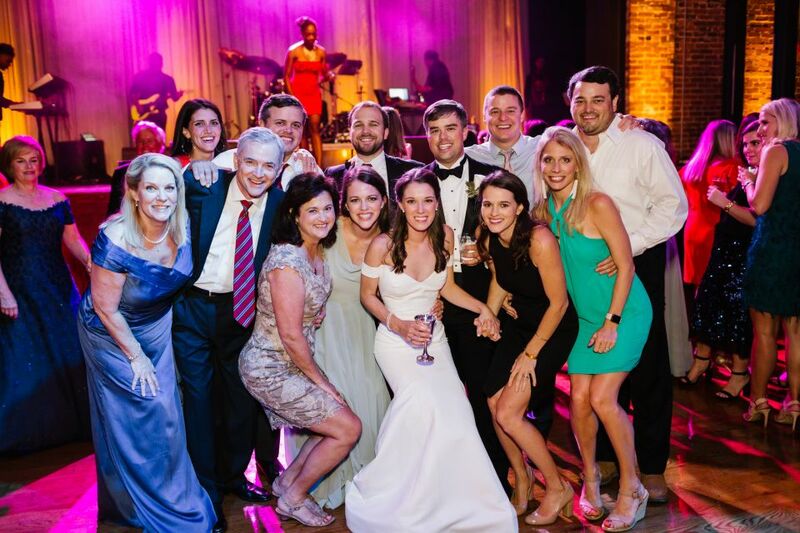 Reach out to events@ironcitybham.com to start planning your big day! Day or night, Iron City is the ultimate downtown venue to host your corporate event. The open layout and outstanding audio visual amenities make presentations, meetings, and keynote speakers a great fit for our space. The wrap around bar and entertaining atmosphere make evening festivities a huge hit. 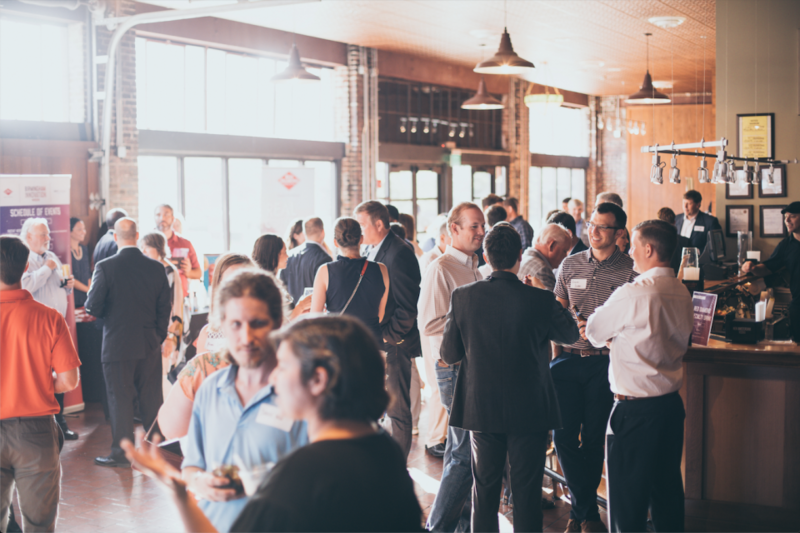 Contact us today at events@ironcitybham.com to book your client appreciation party, energized award ceremony, or offsite conference event. We pride ourselves in being host to many of Birmingham’s largest, and most successful, fundraising events. We always help our nonprofit partners spread the word about their event by having it listed on our website calendar, sending email blasts, and posting about the event on our social media platforms. We do allow donated beer and wine for our nonprofit clients, and are more than happy to share our love of live music with donated concert tickets for your auction or raffle. We were voted ‘Best Place to Hold an Event’ by About Town Magazine. We were also the venue for the fundraiser that was voted ‘Best Charitable Function’ by About Town Magazine. Contact events@ironcitybham.com for more information. We are the venue of choice for a variety of Birmingham’s best social events and school functions. We’ll provide a fun and unique experience for athletic banquets, Greek formals, high school reunions, birthday parties, anniversaries, or graduations. Some of these events may too small for the venue, but a group reservation in Iron City Grill can be a great option. Contact events@ironcitybham.com for more information. We are always searching for local musicians to perform in the Iron City Grill. For information on local bookings, please send a sample of your work to info@ironcitybham.com. If you are interested in promoting a national act at Iron City, please contact our exclusive promoter directly, Code-R Productions. You can now rent The Grill at Iron City for smaller private functions on weekends and select evenings! The casual atmosphere features a small stage for entertainment and a wrap around bar. It’s the perfect space for after work networking events, a farm to table dinner experience, and social receptions. Contact events@ironcitybham.com for more info!